The Babadook is a horror movie unlike any other. It isn’t particularly bloody, it doesn’t rely on jump scares and loud bangs to keep you on edge, and, despite the familiarity of its initial premise, it never goes in quite the direction you expect. In suburban Adelaide, single mother Amelia struggles to raise her willful and troubled son Samuel. Haunted by the memories of her dead husband, and exhausted beyond the point of sleep, Amelia is barely hanging on, and things only get worse when Samuel begins to become obsessed with a character from a creepy children’s book, The Babadook. The book itself is a stunningly beautiful prop (which, of course, you can now pre-order), but like everything else in the film, it doesn’t work — narratively speaking — quite the way that you’d expect. I kept assuming that I knew where the story, in its broadest movements, was headed. I was consistently wrong. 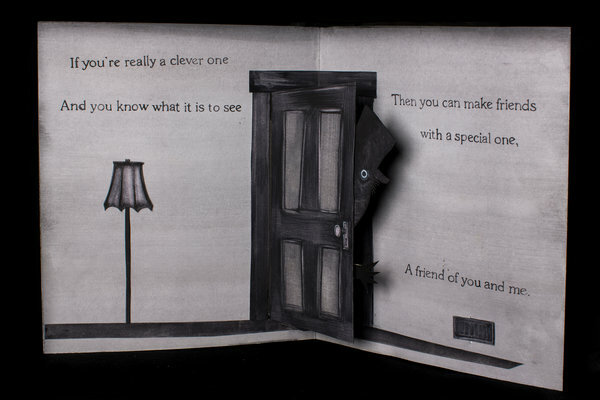 It would be inaccurate to describe The Babadook as a deconstruction of modern horror, because that implies a textual reference that’s fascinatingly absent. Rather, the film takes unexpected turns, subverting relationships and expectations in a way that doesn’t feel at all arch and self-aware, but simply the product of another time and place. The Babadook feels fresh not because its a response to what has gone before, but because it comes from an entirely new and original perspective; in many ways, it is the anti-The Cabin In The Woods, but it would also serve as a wonderful companion piece to that film. Weird, unsettling, not entirely successful, but as refreshing as a cool breeze on a mountain-top, The Babadook will spawn a host of imitators in the next few years. I only hope that it encourages those storytellers who want to do something different with horror. Get it now: The Babadook .